Prominent & Leading Manufacturer from New Delhi, we offer arbour press, belt sander, fly press, hand press, impact press and spring type arbour press. 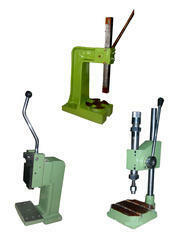 ‘JMTC’ Arbour Press is designed for production work of quick operation in general engineering work shops, garages etc. Arbour Press is used for Driving Mandrels in and out of work and can also be used for inserting and removing bushes, sealings etc. They do not dent or bulk the work and will prove saving of time and increase life of Machine. ‘JMTC’ Belt Sander Machines are available in variety of belt sizes such as 48” x 6”, 72” x 8” & 92” x 8” and other sizes as per party’s requirement. 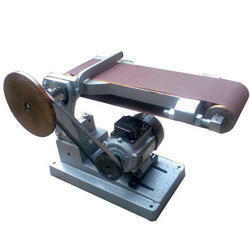 These Belt Sander is of heavy duty construction and made with best materials suitable for job. Various type of materials can be finished on this machine such as S.S., M.S., Copper, Brass, Alluminium, Casting etc with help of suitable grades and type of belts. 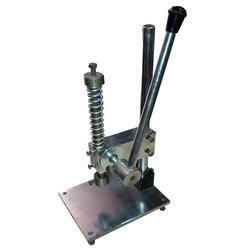 ‘JMTC’ Hand Press Machines are easy to use and maintain and known to produce perfect results. The machine is manufactured by our professionals utilizing the finest quality material in compliance with the international quality norms. Our Machines are cost effective, good quality, simple and of rugged design. 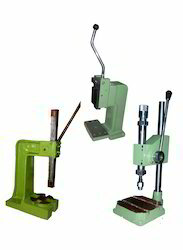 Our Hand press Machines have high tensile strength and are tried and tested on various parameters, before they are given to the clients. 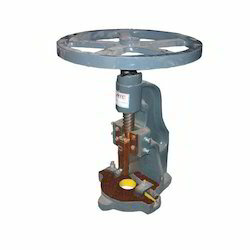 ‘JMTC’ Impact presses are different from the hand & arbour presses in which actual impact depends upon the pressure exerted. A uniform force is exerted in Impact Press on the job making in suitable for various works like punching, riveting and marking applications. High ratio of mechanical advantage is achieved in this machine to ensure good output force while applying minimum input force with hand. The parts used in Impact Press machine are highly accurate to ensure quality and life of machine. 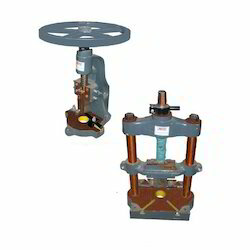 JMTC Spring Type Arbour Press is used for various functions and are Spring Returned Press. They are easy to use and maintain and known to produce good results. Spring Type Arbour Press is cost effective having good quality and simple design. ‘JMTC’ Toggle press machine is widely used for Numbering, Cutting, Stamping, Rivetting, Bending, Punching, Marking, Piercing, Embossing. They are also used for innumerable other such jobs for applications related to electrical, electronic and automobile industry. 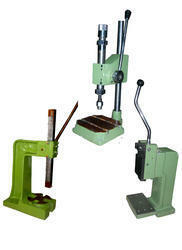 Toggle press machines are available in Hand Operated as well as Pneumatic versions.